Over a lifetime everyone achieves things that they are proud of and want to show off. Whether it be an essay that a student has spent weeks working on and achieved a top mark, a diploma, a certificate of a qualification or even a photo of something or someone special, some things need to be viewed, not just stored away in a cupboard for months and months. It is important that people can look at their hard earned achievements and enjoy the satisfaction of seeing their certificates or memories in front of them. Plastic document wallets are used every day for this and often protect some very precious files. Plastic wallets are very useful for protecting important information and memories from spills and from being marked or damaged by the outside environment. While they may not be as sturdy as hard plastic covers and document boxes they have the additional advantage that they are easy to store and allow the owner to look through them quickly to find exactly what they are looking for. They are also very lightweight and easier to transport than thicker protective covers so the most celebrated qualifications can be taken around the country to show friends and family. While plastic wallets are very useful at allowing people to store documents and show off certificates it is also important to store these wallets carefully. A single plastic wallet can be easy to lose and, if multiple plastic wallets are kept together, they can fall out of order easily. Plastic wallets slide easily against each other making it very easy for one wallet to slip out of a group. This is why plastic ring binders can be very useful when transporting documents in plastic wallets. The ring binder allows the owner to keep all plastic wallets neatly organised and still show the documents inside to friends, family and colleagues. A hard, plastic ring binder will give the documents even more protection from the elements and allows for easier, safer transportation. A plastic wallet can also be very helpful in the short term. If someone must carry an important file from one office to another it takes two seconds to slide it into a plastic wallet to give it that bit extra protection. 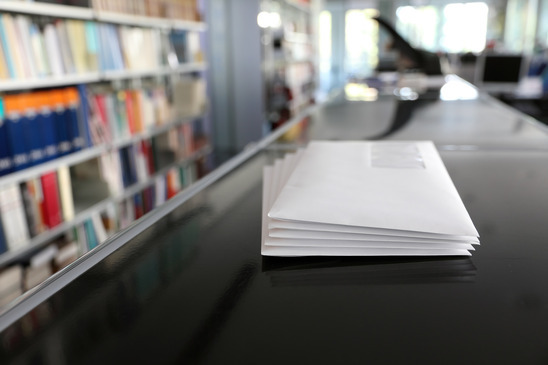 This also means that the document will be safe when it is delivered and it is able to be left on a table without the risk of it going unnoticed. Many people will put loose plastic wallets straight into their ring binder to deal with at a later time so there is no risk the document will get lost, thrown away or damaged like a loose sheet of paper might. With thanks to www.duraweld.co.uk for the article. What are your thoughts about “Documents wallets show of hard work”? Please leave a comment or share this article with your friends and followers by using the social buttons!